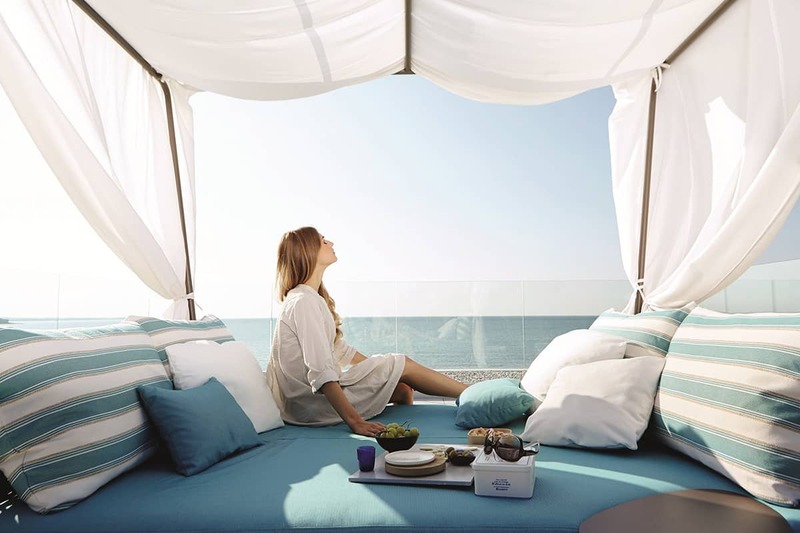 What could be more peaceful and relaxing than spending quality time outdoors with a cup of coffee or a glass of wine in hand? 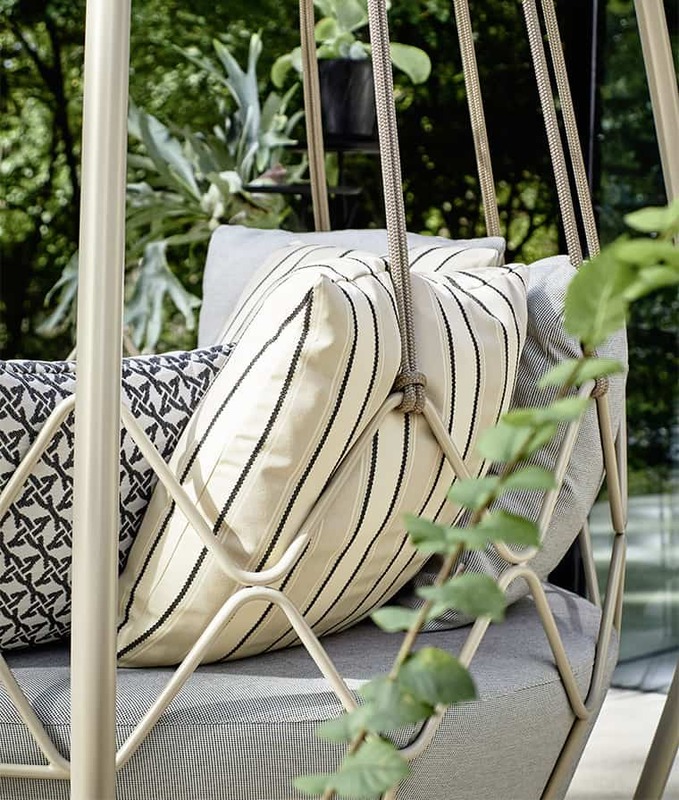 When I’m hanging out outdoors I like to not only enjoy the view beyond my terrace, but also the view on my terrace and the Roberti garden collection offers a view that never looked or felt better. 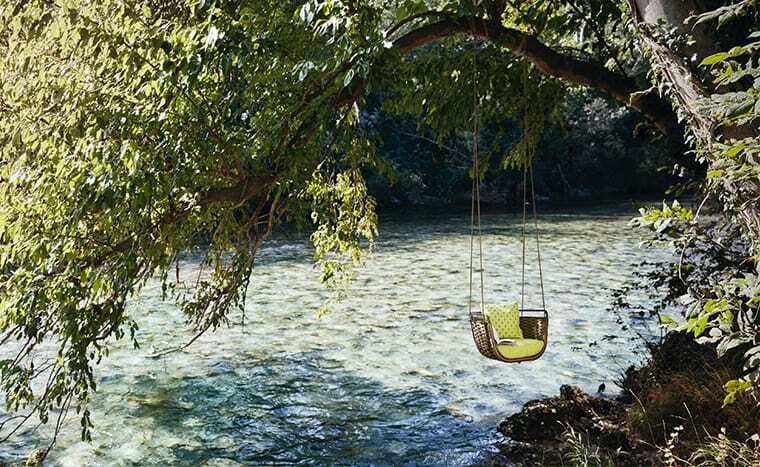 What could be better than relaxing on Roberti’s Portofino Swing Sofa suspended from a tree or a porch ceiling? 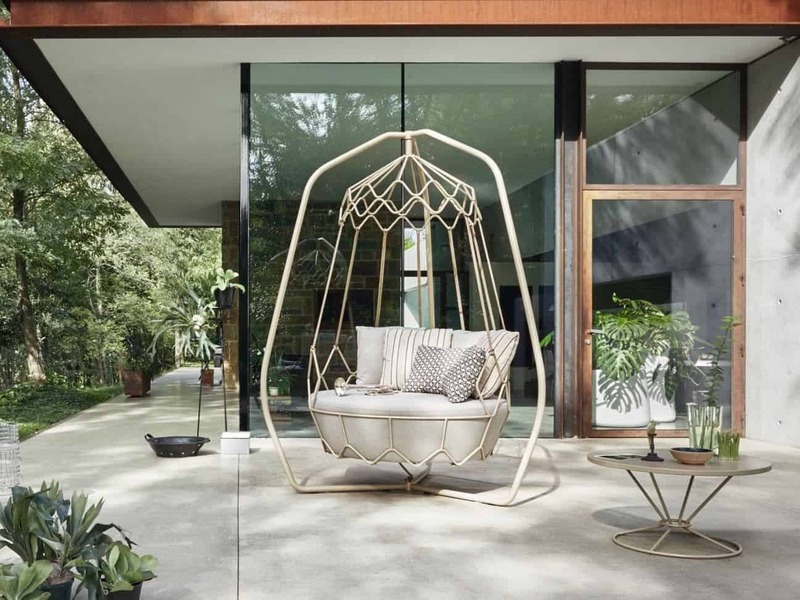 Designed by Technical Emotions the Gravity Garden Hanging Chair is elegant, charming and dare I say decadent? Made from powder coated Stainless Steel in a champagne finish these gorgeous seats are about as cozy as they come. 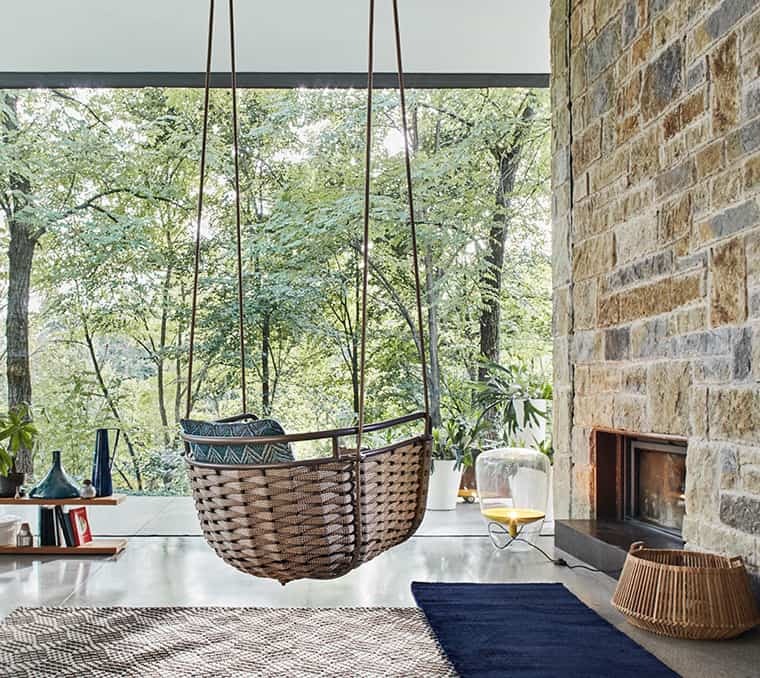 For similar furniture for the inside use, see Indoor Hanging Seats. If you prefer having your feet firmly on the ground this Gravity Loveseat Sofa with its geometric Stainless Steel cage and Robin’s egg upholstery is just the answer. 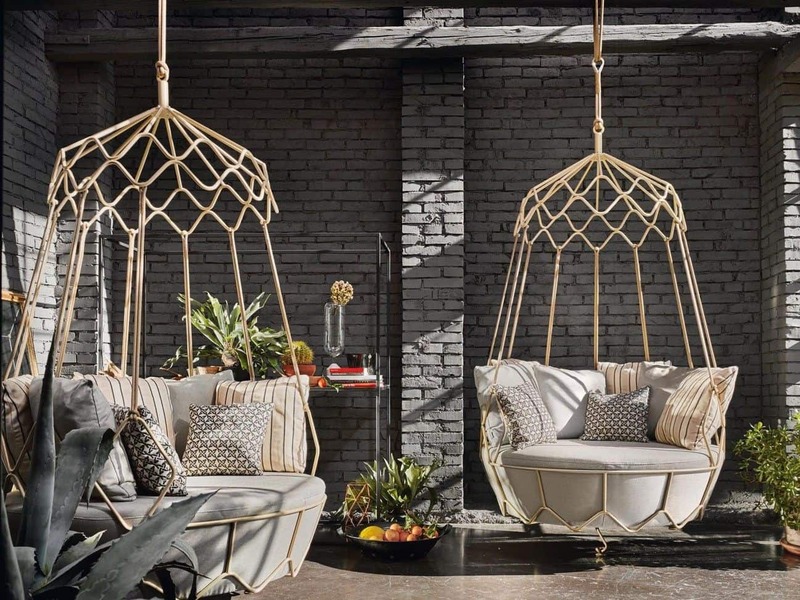 Of course you could stay on the ground and be suspended at the same time by attaching the Gravity Swing Sofa to a supporting structure. 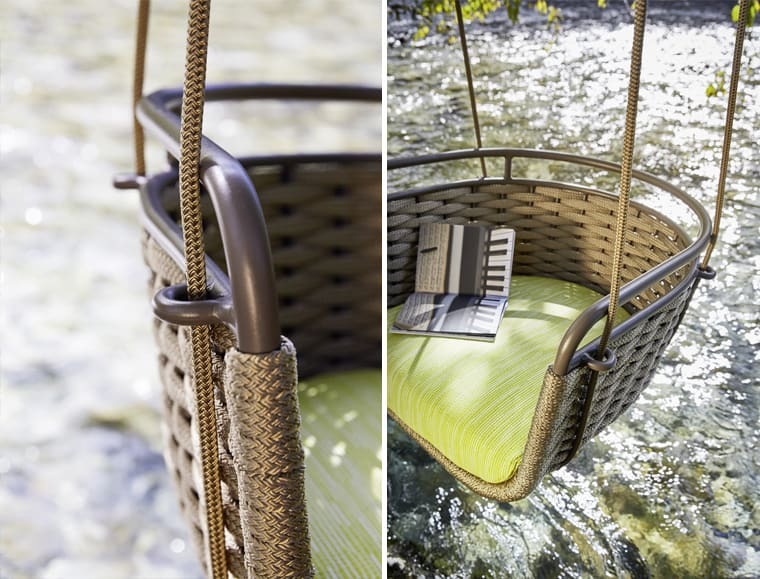 The rope details on the Gravity Swing Sofa are Nautic Rope. Gravity isn’t just about comfortable seats, it is also about tables and the Gravity Coffee Table has an aluminum top with the Stainless Steel base. 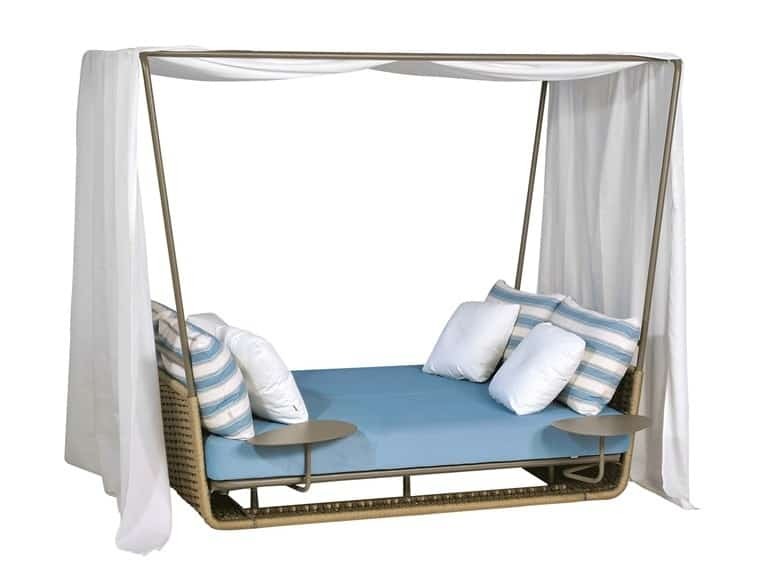 Roberti has also manufactured a Portofino Garden Bed designed by Sagntiago Sevilano that is made from Stainless Steel epoxy coated frames and hand-woven Nautic Rope elements. 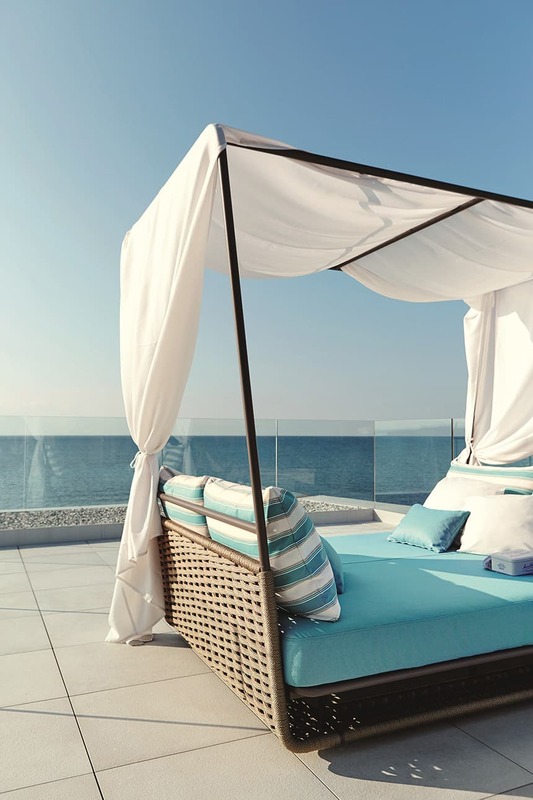 The Portofino Garden Bed comes with a canopy for sun protection so you can spend as much time in the sun as you want without actually being in the sun. 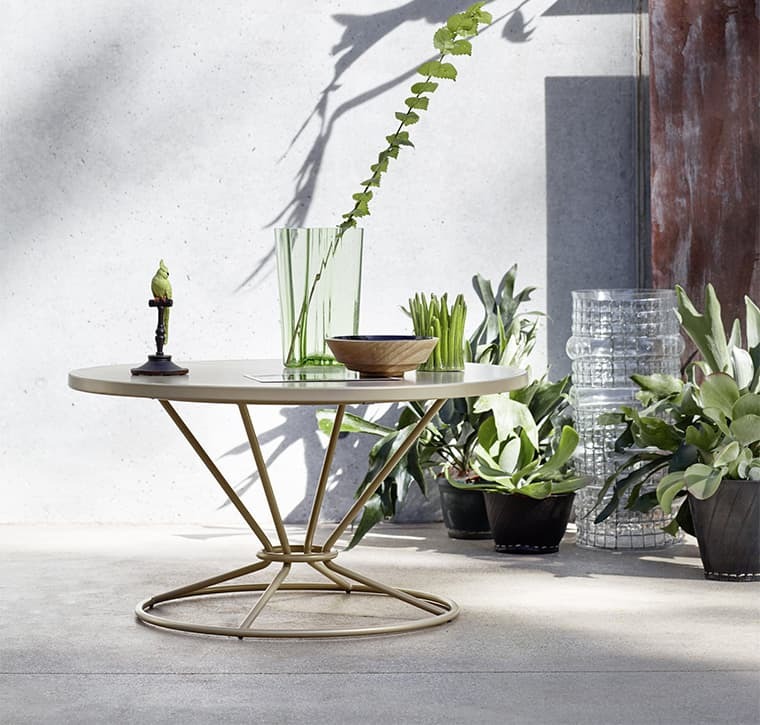 The Portofino Garden Bed has built in side tables with aluminum tops – they really thought of everything! 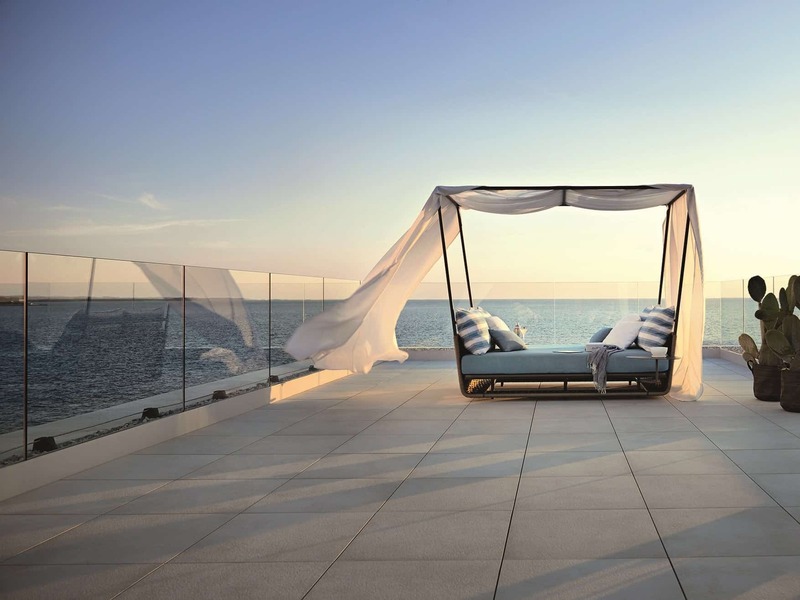 As much fun as it would be to spend an afternoon in the sun on the Portofino Garden Bed, I really love the idea of cuddling under a blanket on it and stargazing. 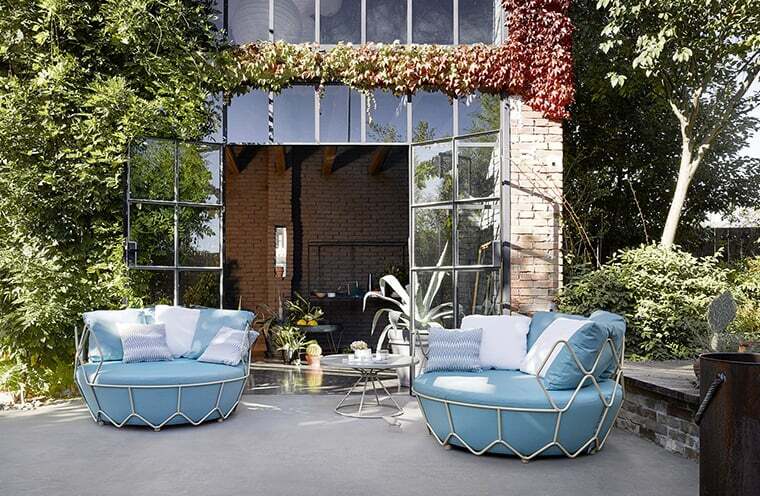 Santiago Sevillano designed Roberti’s Portofino Swing Sofa and it has its muse in the seafaring culture. Suspended from Nautic Rope and made from powder coated Stainless Steel in a Terra finish, the upholstered colors are either of earth, clear sky or deep blue water. 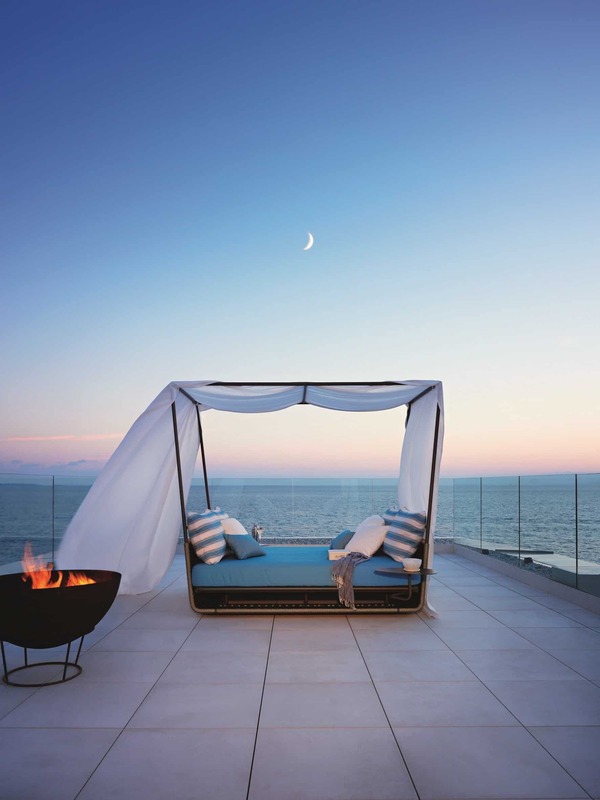 The only question with Roberti’s outdoor furniture collection is should you choose one design, several or all? Our Favorite Pumpkin Crumble Dessert + The Pumpkin Patch!